“Pope Francis will not be at risk during his trip to Chile this week, despite a series of attacks at Catholic churches in the capital city of Santiago, Interior Minister Mario Fernandez said on local radio station BioBio on Saturday. 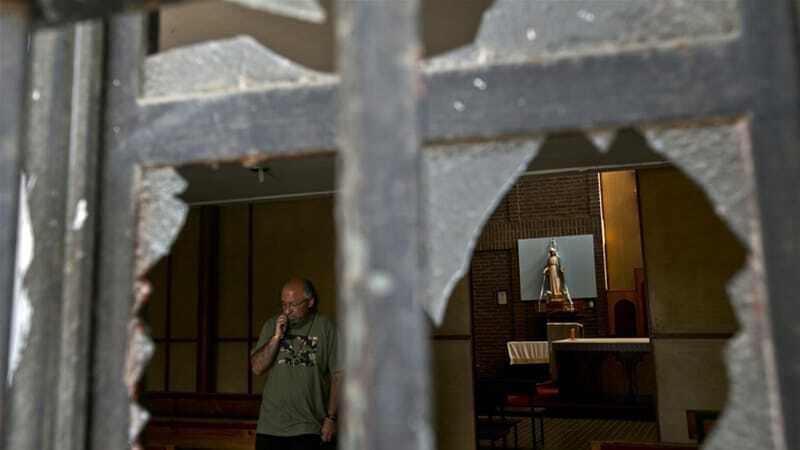 Unknown vandals set fire to at least two churches, threw a homemade bomb at one and left pamphlets with threatening messages to the pontiff early on Friday morning, days before his arrival in the South American country. No one was injured, and no group has claimed responsibility for the attacks. Fernandez said small groups with limited capabilities were behind the attacks, but he did not name them. Francis, who hails from Argentina and is the first Latin American pope, will arrive in Chile on Monday. A Mass he has planned to hold on Tuesday in a Santiago park is expected to attract more than 500,000 people. Various groups are planning demonstrations on issues ranging from indigenous rights to a sexual abuse scandal.